Epson´s FX-890 impact printer will give your business the durability and uptime necessary to succeed. 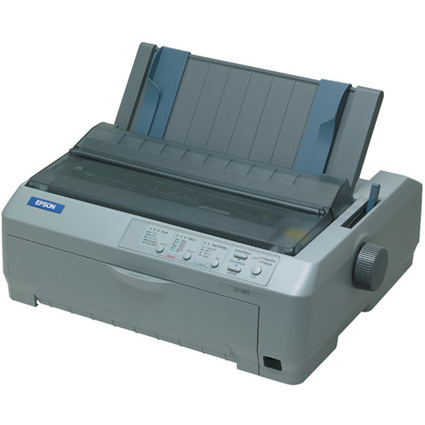 Rated at 52 million lines, the FX-890 is long lasting, with a printhead capable of printing 400 million characters before requiring replacement. The 80 column printer prints at up to 680 columns per second, keeping your invoicing or other tractor-fed operations running smoothly and quickly. Dimension (WxDxH): 16.3" x 13.8" x 6.3"